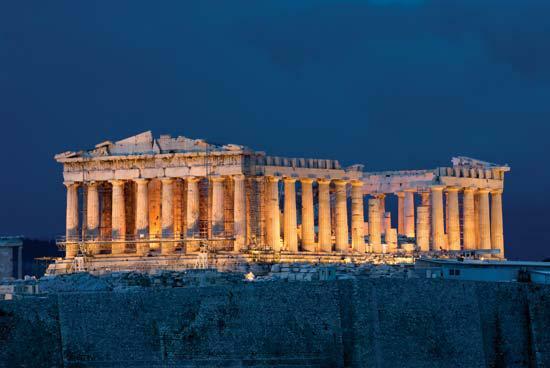 2 nights: Athens for its rich ancient history including the famous acropole. 3 nights: Paros island, including a day trip to Antiparos island for a relaxed experience, stunning beaches and traditional villages. 2 nights: Mykonos island, famous for its parties. Alternatively, go to Santorini island, the famous island known for its amazing scenery.
" This itinerary leads you to discover the capital city and introduces you to the Greek islands in the Cyclades. If partying in Mykonos is not for you, then from Paros, take a boat to the island of Santorini, in the South of the Cyclades instead. " For transportation, the best is to use the ferry to travel between islands. Ferries run a few times per day but I would recommend reserving your ticket a day or two in advance, especially during peak travel season. Mykonos, Paros and Santorini have airports and I would recommend you to return home using one of these airports. 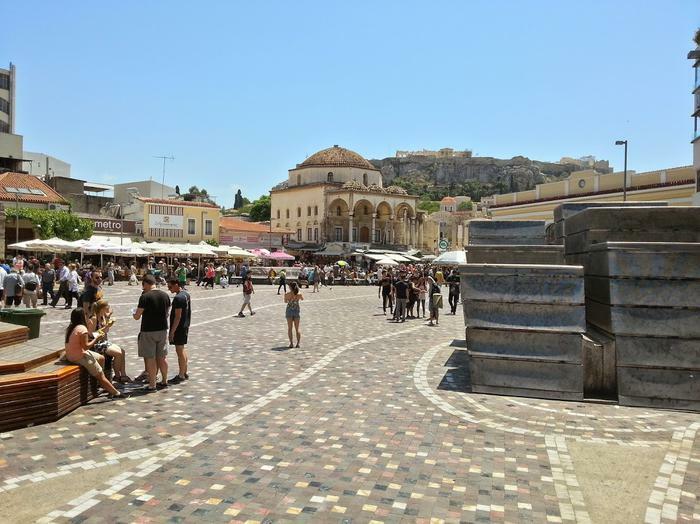 If you decide to go back to Athens by ferry, bear in mind that the traveling time is depended on sea conditions and that the traffic from one of the ports to the airport can be significantly slow. Athens was the heart of the Greek civilization from the 8th Century BC to the end of antiquity circa 600 AD. There isno surprise that some of the world most beautiful ruins are found here. The capital is also a great introduction to some delicious Greek food. 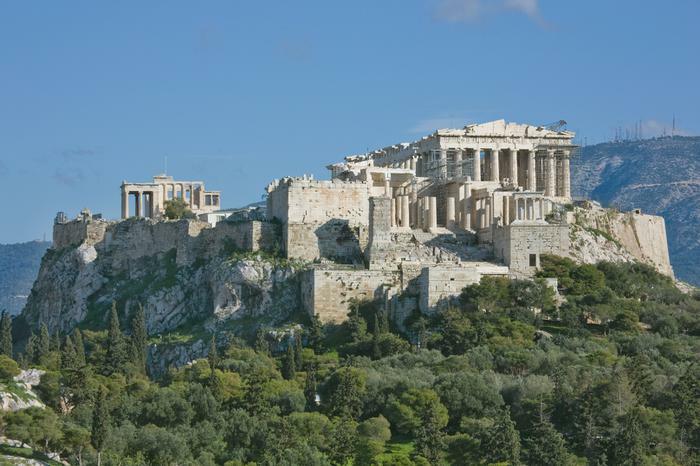 The top attraction is the Parthenon situated on the Acropolis, a hill overlooking Athens. Located to the northwest of the Acropolis, the ancient Agora was once a marketplace and civic center. It is the ancient spot of the Greek democracy. Make sure to visit the new Acropolis museum. This must-see museum hosts a large collection of ancient statues and Greek architectures. 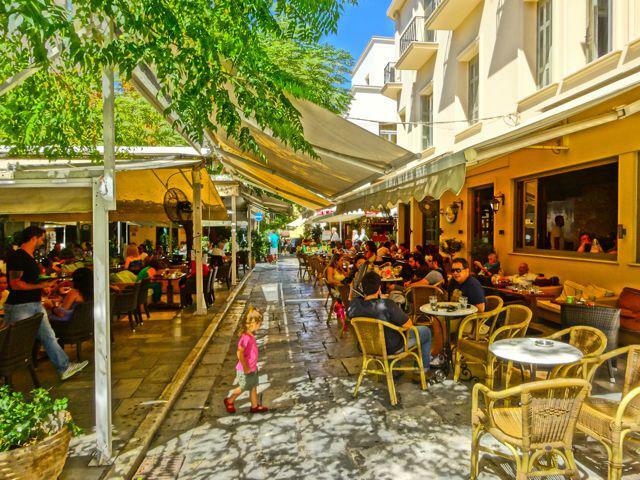 Get inspired by the Greek culture in the Plaka District, the old historical neighborhoods of Athens. It is located next to the Acropolis and features labyrinthine streets and neoclassical architecture. Other to-dos based on your interests are: the beautiful Panathenaic Stadium (where the first modern Olympic games in 1896 were held), the flea market in Monastiraki old town that will offer you plenty of shopping opportunities, the Temple of Olympian Zeus, and the historical and social center square of the modern Athens Syntagma Square with a change of guard every morning at 11am. Athens is also notorious for its rich nightlife! Get inspired here for some ideas about where to go out. Don’t come in Athens with big expectation for the city itself. It is definitely great for its culture, its markets and its food, but the city itself isn’t known for being charming. 2 days in Athens is enough for most travelers. Greece has amazing Mediterranean cuisine. My favorite is Tzaziki (based on yogurt, cucumbers and spices), but make sure to also try Souvlaki, feta cheese, fresh fishes and many others specialities. Go to the Piraeus port (the biggest port of Athens, an alternative is to take a boat from Rafina port that is closer to the airport) where you can buy tickets towards most of the islands in the Cyclades. Embark for a 4-hour ferry towards Paros that will cost approx. 35 euros (depending on when you book the ticket). Natural beauty, beaches with crystal-clear water, Byzantine footpath connecting traditional villages is what await you in Paros. Antiparos, the relaxed island where Tom Hanks, Bruce Willis, Pierce Brosnan and several others settled their vacation homes, it is just 5 min away from Paros. Once you arrive, rent a scooter or a quad. It will be your best friend to tour the island at your own pace as well as for your visit to Antiparos. Paros is a small island that can be circled in one day. There are not many routes and it is almost impossible to get lost if you use the map your rental company or your hotel will provide. Ask your hotel to circle the best beaches, the best traditional villages featuring Cycladic architecture (with whitewashed sugar houses, paved streets and blue-domed churches) on your map and just go! Some spots are secluded but they are gorgeous such as the Paros Park (just a couple of minutes walking down the trail past the Monastiri beach, you will find my favorite place for swimming in crystal clear water!). Plan a day-trip to Antiparos that is connected to Paros by a cheap 10-minute long ferry (your scooter or quad can and should come with you, not a problem). 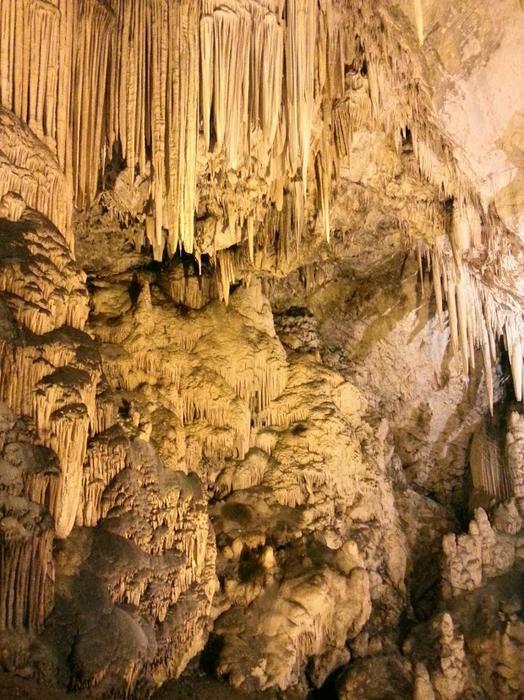 Visit the sumptuous Antiparos cave, relaxed over lunch in Antiparos Town and discover some beaches or bars right by the sea. After Paros and Antiparos, take a 2-hour speed boat towards Mykonos. Alternatively, you can take a 2-hour speed boat South towards Santorini. The itinerary is a great introduction to Greece! But there is much more to visit for your next time around, including Crete that is almost a country in itself, other Cyclades islands such as Santorini, Naxos or Milos, or learn more about the classical Greece by visiting Olympia, Delphi or the Temple of Poseidon in Sounion.